Mathematicians like to point out that mathematics is universal. In spite of this, most people continue to view it as either mundane (balancing a checkbook) or mysterious (cryptography). This fifth volume of the What's Happening series contradicts that view by showing that mathematics is indeed found everywhere—in science, art, history, and our everyday lives. Mathematical biology: Mathematics was key to cracking the genetic code. Now, new mathematics is needed to understand the three-dimensional structure of the proteins produced from that code. Celestial mechanics and cosmology: New methods have revealed a multitude of solutions to the three-body problem. And other new work may answer one of cosmology's most fundamental questions: What is the size and shape of the universe? Small worlds: Researchers have found a short distance from theory to applications in the study of small world networks. Beyond Fermat's Last Theorem: Number theorists are reaching higher ground after Wiles' astounding 1994 proof: new developments in the elegant world of elliptic curves and modular functions. The Millennium Prize Problems: The Clay Mathematics Institute has offered a million dollars for solutions to seven important and difficult unsolved problems. These are just some of the topics of current interest that are covered in this latest volume of What's Happening in the Mathematical Sciences. 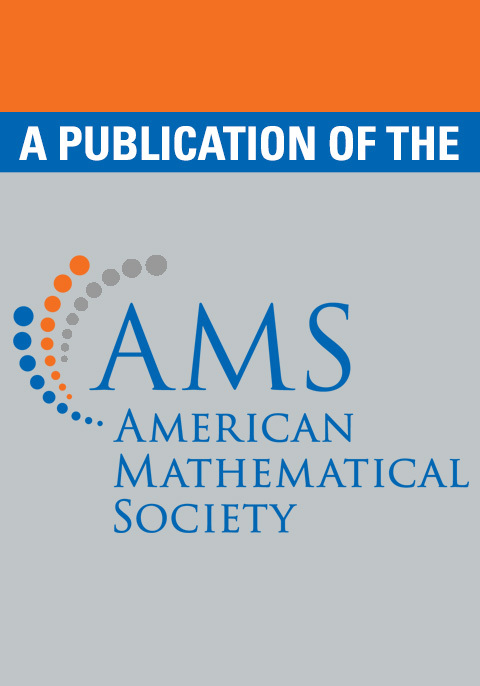 The book has broad appeal for a wide spectrum of mathematicians and scientists, from high school students through advanced-level graduates and researchers. A winner indeed … very successful series … the standards in these volumes are very high indeed. What makes these volumes so well-received? Here are five reasons … First, the articles are all written in a very lively style … witty and sophisticated writing … Readers can enter … somewhat … effortlessly, as if they were reading a non-technical magazine. Second, the articles give a balanced treatment of what is indeed happening in the mathematical sciences. [The author] … faithfully covers his beat … Third, the primary goal of reaching readers besides professional mathematicians is kept in sight throughout … Fourth, the articles are short and sharply focused … Fifth, there is mathematical meat in every article … the five volumes of What's Happening … Together … are remarkable not only for their excellence but also for the consistency of style maintained over a ten-year period. An excellent source of information. Through his writing, diagrams, and sidebars, Cipra offers historical background, mathematical connections, and insight into the world of research mathematics. Throughout the book, he connects modern mathematical ideas to important applications in computer science, physics, biology, security codes, and art. He also presents in each chapter an intriguing blend of historical and contemporary mathematics. An excellent resource for high school mathematics teachers and their students. The topics chosen and the lively writing fill a notorious gap–to make the ideas, concepts and beauty of mathematics more visible for the general public … well-illustrated … Congratulations to Barry Cipra.